Montreal, September 13, 2017 – In light of the recent events involving the arrival of fentanyl on Quebec streets, the Centre québécois de lutte aux dépendances (CQLD) is distributing 20,000 educational brochures on the drug, its effects and actions to take in the event of an overdose throughout the greater metropolitan area starting today. 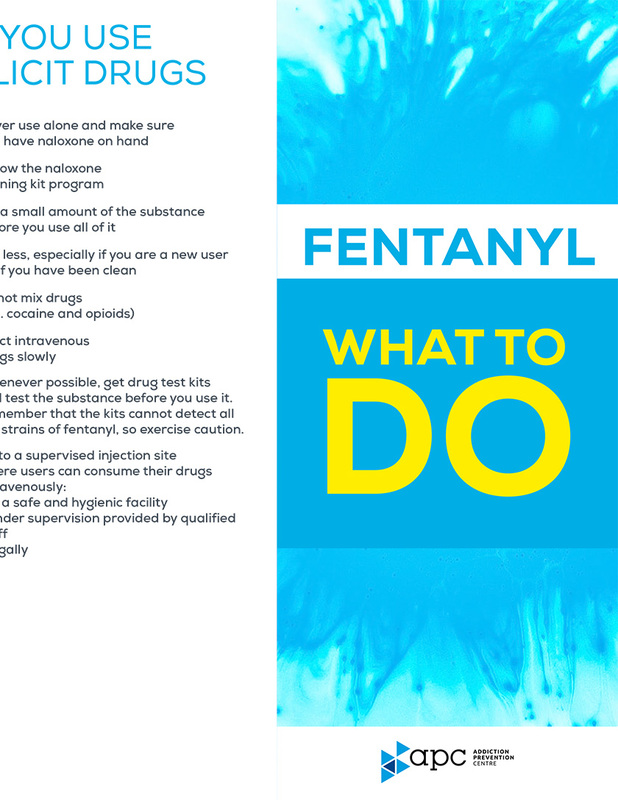 Monitored by the CQLD for the past several years, particularly since it began making headlines in Western Canada, fentanyl has now reached Quebec. It is therefore important for the organization to educate as many people as possible about the extremely dangerous effects of the drug. The document, developed by a committee of public health experts, including Dr. Marie-Ève Morin, addiction and mental health specialist, and founder of Clinique Caméléon; and Mr. Luc Beaucage, retired RCMP police officer and instructor at the Université de Montréal, will mainly be distributed in the greater metropolitan area on the street, in clinics and through organizations. Although the impact of fentanyl in the province is not as great as elsewhere in Canada, the CQLD and its partners are keeping a close eye on the drug’s distribution. Difficult to detect, it can be found in numerous other illicit substances without the user’s knowledge, a fact that is highlighted in the brochure that is being distributed today. The public can download the brochure at www.cqld.ca/nouvelles. The APC’s mission is to support anti-addiction measures in Quebec and Canada by contributing to the advancement and transfer of knowledge in this area. To fulfill its mission, it values the exchange of expertise among all concerned stakeholders and strives to make organizations and the public aware of the issues that stem from addictions. The organization has also authored a book entitled Drogues : savoir plus, risquer moins, which has sold over 200,000 copies to date.